In 2010, the founders of Freight Farms reimagined urban farming by offering a self-contained, hydroponic growing system capable of yielding up to two acres worth of produce inside a standard 40' x 8' x 9.5' shipping container. With innovative climate technology and growing equipment, the perfect farming environment is achievable 365 days a year, regardless of geographic location. 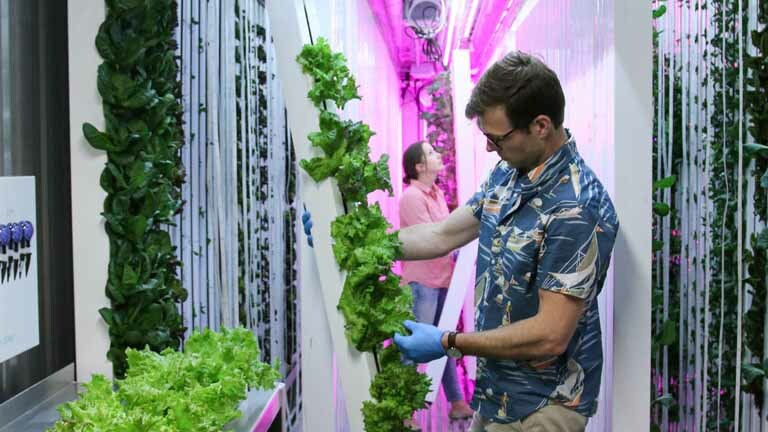 As the company grew, Freight Farms' leaders realized that in order to truly transform the food landscape, they needed to deliver not only an innovative product, but also a scalable user experience. Freight Farms needed to provide an easy way for growers to manage and service their farms. 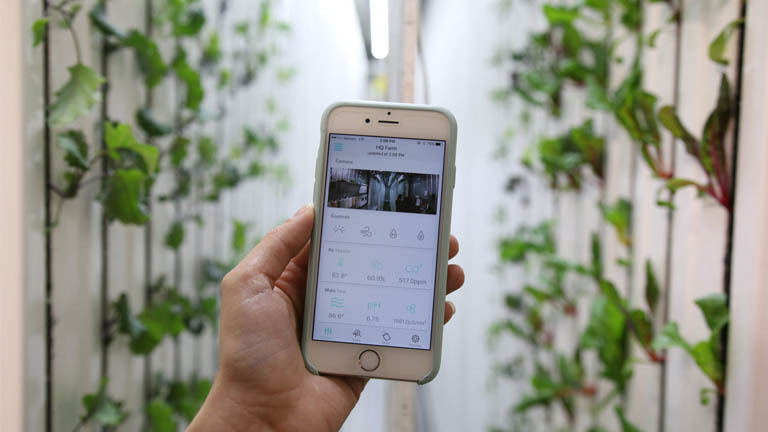 Freight Farms built an app that lets farmers control, monitor, and service their farms on their mobile devices. Freight Farms realized that with modern cloud technologies it could build a revolutionary user experience at a relatively low cost. The small engineering team created a mobile app that allowed users to monitor and control vital functions such as temperature and humidity. Users could also keep track of farming activities such as seeding and transplanting, and of course, Freight Farms’ support team took advantage of the same system to remotely diagnose and address issues. Rather than build all of this technology from scratch, the Freight Farms team simply configured, deployed, and connected a few off-the-shelf cloud platforms. Xively, an IoT platform, sends raw data from sensors and receives control commands. Heroku, a cloud development platform, analyzes and aggregates the raw IoT data, then shares it with mobile apps and with Freight Farms’ sales and marketing platform. Thanks to Freight Farms’ innovative engineering team and flexible cloud technologies, the entire experience was built in a few short months. Freight Farms needed a way to unify its sales and marketing efforts in order to grow and scale. Freight Farms created a system that allowed all its data to flow into a single platform, unifying information from farms, customers, and prospects. Freight Farms realized that its business would be impacted if its data continued to be siloed. The company needed access to customer data in the same place as its growers’ data to get a 360-degree view of the entire business. Everything from spreadsheets to handwritten sticky notes was brought into Salesforce to achieve this goal. By unifying its overall operations in Salesforce, Freight Farms developed a new and effective way to identify qualified leads and route them to sales teams. Unqualified leads are now added to a drip campaign so marketing can track engagement and pass leads to sales once the leads have achieved a qualifying score. Improved marketing processes allow sales teams to access all customer and grower data, making them better relationship managers. Additionally, with data all in one place, sales was finally able to create accurate forecasts in real time. Now, Freight Farms has over 100 farms in operation, making local food production a possibility anywhere.